Joel Matip is ready to make his return to action in Liverpool’s friendly against Bury. After his 2017-18 campaign was cut short by a thigh injury sustained in March, the centre-back re-joined his teammates in full training earlier this week. 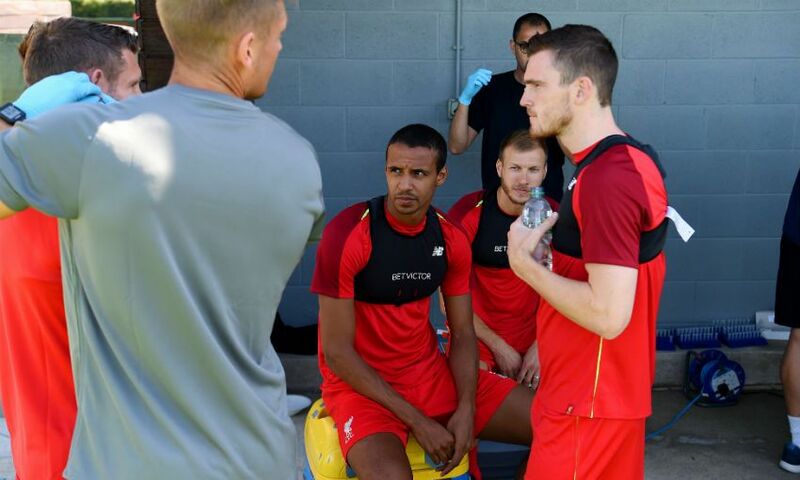 The Reds will make the short trip to Gigg Lane for the third of their nine pre-season matches on Saturday, with Jürgen Klopp expecting Matip to be available. And the No.32 himself is keen to get back on the pitch this weekend. “If the manager decides [I can play] I would be happy. I think I am ready,” Matip told Liverpoolfc.com. “Of course I am in full training but I think to get the real full fitness everybody needs a bit longer, me especially after a long injury, but we are all on a good way and me as well. Matip did plenty of work during the off-season, completing his recovery programme under the guidance of the club’s medical and fitness staff. “I spent a lot of time over the summer here in Liverpool, at Melwood, to be ready and to get fit,” the 26-year-old said. The defender was restricted to 35 appearances last term due to his aforementioned thigh problem and a muscular issue suffered in November, but he is aiming to ensure he is available throughout 2018-19 - starting on the opening weekend, when West Ham United visit Anfield. “Every football player wants to be fit, but especially after a season with a few injuries you want this more,” Matip explained. “It’s a long way to go [until the West Ham match], but I try to work on my own fitness and to be ready. You need sometimes the ball to get this feeling back, to know how you move again, to get self-confidence in your own movements.